My feet are puffy. They now resemble bread loaves. Queer puffy bread loaves. It's awful. I can't wear shoes and have resorted to wearing crocs to work. Hardly a fashion statement! Especially with a business suit. But it's either that or slippers, I am not sure which is worse. 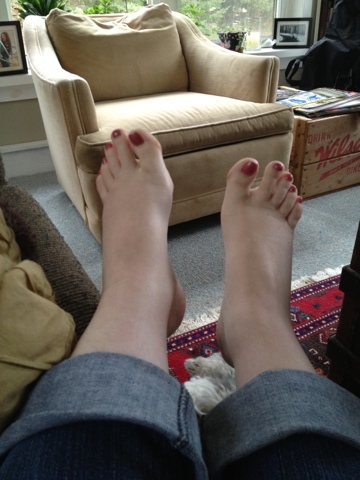 By end of day my feet are so swollen that I am quite certain they could burst - silly idea right? Impossible you say? I am not so sure!